Canadian Steam Freight Set TS927 of 1971. 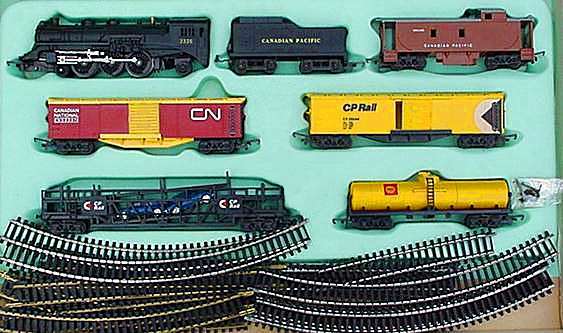 CP Pacific steam engine, CN Box car, CP Box car, Shell tanker, CP Car transporter, CP Caboose. Oval of Series 4 track and Power Controller. 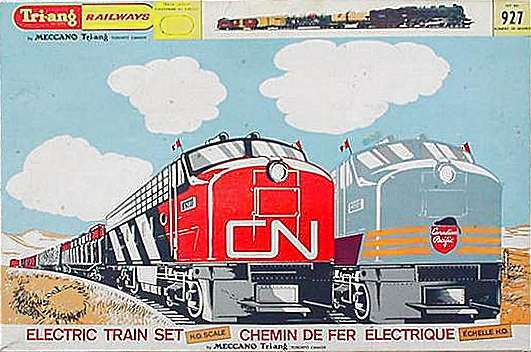 This set was shown in the Canadian 1971 Catalogue with an A3 tender, as can be seen this set has the original bogie tender.